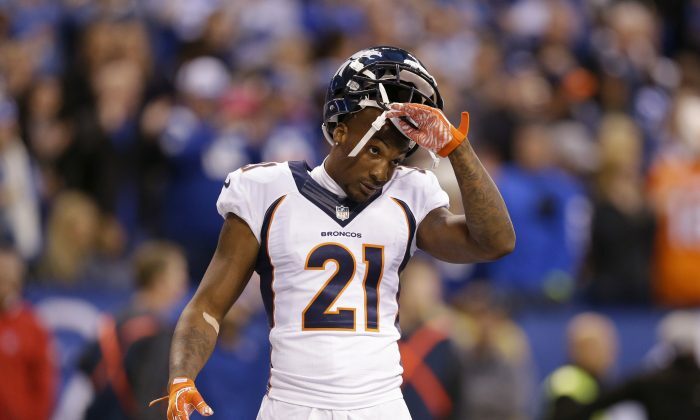 Super Bowl-winning Denver Broncos cornerback Aqib Talib was hospitalized after he was shot in the leg on Saturday night, according to reports on Sunday. ESPN’s Adam Schefter and others have said that he was discharged from the hospital on Sunday. Talib was one of three people shot after a fight at the V Live, a Dallas night club, WFAA-TV reported. Talib, 30, was taken to the Medical City Hospital. The station reported that he was rushed to the emergency room. The Broncos are slated to be honored by President Barack Obama at the White House on Monday. Now, it’s unclear if Talib will be going there. The shooters’ identity hasn’t been released. Talib has 30 career interceptions, which includes seven he has returned for touchdowns. He ranks No. 1 among NFL cornerbacks in both categories since he entered the league in 2009. In March 2011, Talib was charged with aggravated assault after he allegedly fired a gun at his sister’s boyfriend in Garland, Texas. The charges were dropped. In April 2015, he and his brother were investigated for aggravated assault following an altercation at a Dallas nightclub, but charges were never filed. This story is developing; more updates as they come in.